I live in Las Vegas, and have since 2006. I’ve seen the best of times here — the times that spurred the construction of the behemoth CityCenter on the Las Vegas Strip — and I’ve seen the worst of times — when the city’s unemployment rate peaked at 14.9 percent during the peak of the recession. Unemployment currently resides at 12.7 percent. If you’ve asked me how I like it here, I’ve probably replied that, for myriad reasons, I don’t all that much. But maybe there’s hope on the horizon thanks to, of all things, online shoe retailer Zappos (s amzn). 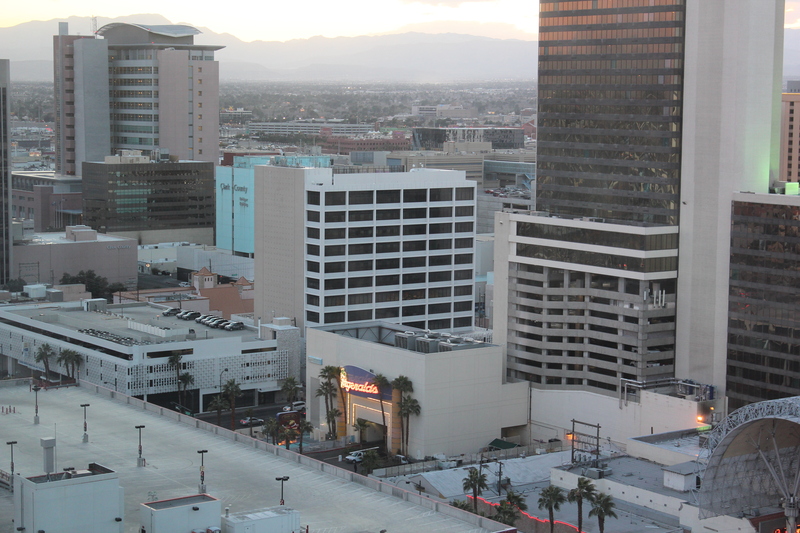 A view of the soon-to-be Zappos headquarters from Hsieh's 25th-floor apartment. You might have read one of the handful of stories that have been written about Zappos CEO Tony Hsieh’s Downtown Project, but it’s hard to do his $350 million investment justice if you haven’t been here and don’t know the hurdles he’s facing. The abandoned city hall that Zappos is slated to move into is hardly the Googleplex cozied away in Mountain View. 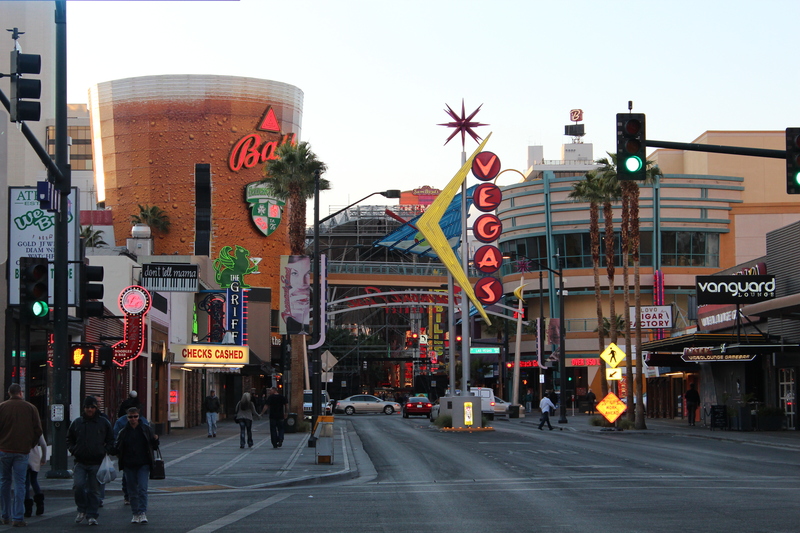 In fact, it’s even miles away from the glitz and glamor of the Strip. And in a city full of transients, where concrete-block walls surround nearly every house, there isn’t much sense of community to speak of. When it comes to the technology startups that Hsieh wants to bring here to help spur innovation and diversify the gaming-centric economy, well, Las Vegas is not Palo Alto. UNLV is a fine school, but it’s not Stanford. But Hsieh has a plan. When you talk to anybody involved with the burgeoning technology scene in Las Vegas, a recurring comment is that companies have been around for awhile, scattered throughout the expansive city, but they existed in silos. None really knew the others existed. This is where Hsieh and the Downtown Project come into play. Wanting to give Zappos employees a true and affordable live-work-play area in a city dominated by suburbs and strip malls, and inspired by Edward Glaeser’s book Triumph of the City, Hsieh and his team set out to fill the Fremont Street District, largely devoid of good restaurants, shops, recreation (non-gaming) and housing with just those things. 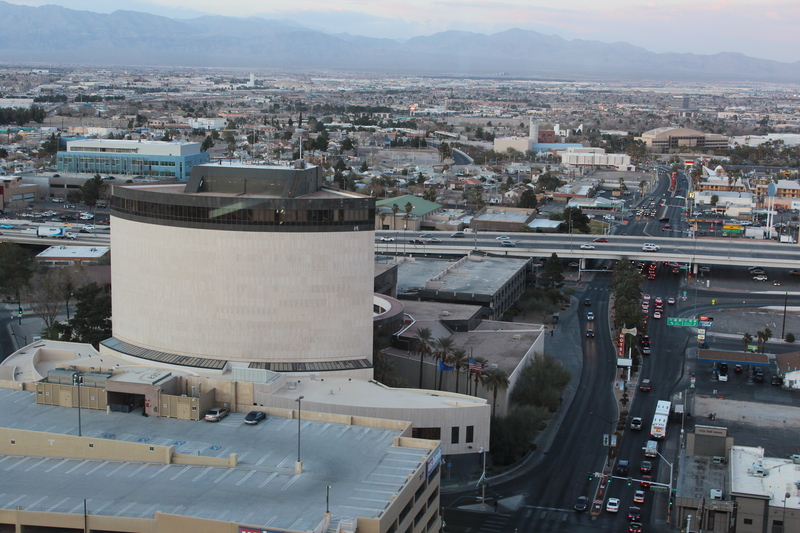 Anyone who cares to contribute an idea can weigh in on what downtown Las Vegas needs. If they’re particularly ambitious, perhaps they’ll ask for a piece of the $50 million Hsieh has set aside to fund small businesses in order to make their business a reality. Zach Ware, a Zappos employee tasked with developing its new campus, and Hsieh’s righthand man on the Downtown Project, said about 15 to 20 businesses have already received funding. Now, when Hsieh pitches Las Vegas to out-of-town companies and influential community members, he can legitimately point to the promise of a real community where innovators can live, work and play among each other and live in a diverse population of downtown residents. A view of the future co-working space (center, mid-rise) from Hsieh's apartment. Some parts of Hsieh’s plan are coming together faster than others. He’s already helped establish a technology library called usr/lib that houses a growing number of books on all things tech and that currently serves as a co-working space of sorts for tech-minded folks. The Downtown Project just signed a lease on an old mid-rise building that will soon provide 21,000 square feet of legitimate co-working space. In the meantime, a handful of Hsieh-funded startups live and work out of the apartments Hsieh has provided for them in a downtown condominium complex. Zappos has also sponsored two Startup Weekends in Las Vegas, and Hsieh’s team is a big supporter of other startup gatherings around the city. One weekly event, called the Jelly, happens every Thursday night and sometimes features presentations on everything from coding to how to sign a term sheet. Other things are happening, too, including a handful of Ignite events and a hacker space where hardware hackers can get together and mess around with machines. There’s even a web site, VegasTech.com, that keeps track of everything that’s going on. I’d be remiss to give Hsieh and his Downtown Project all the credit, though. 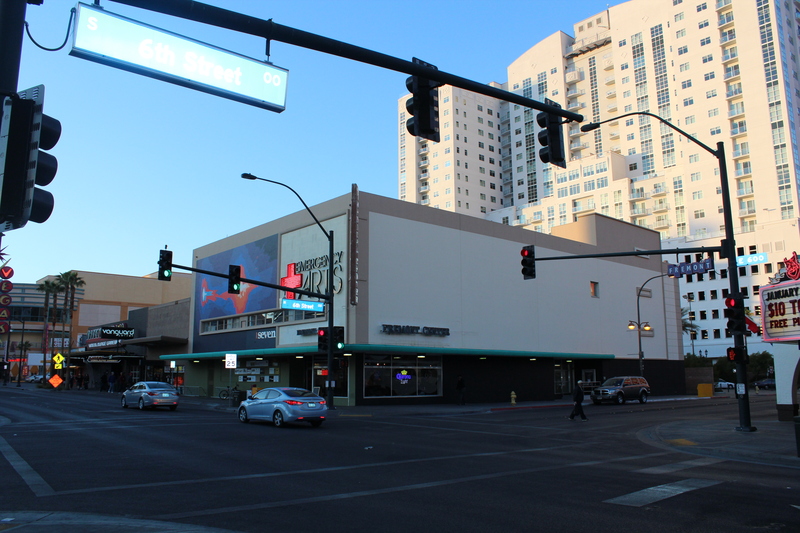 Although its epicenter is about a mile and a half from the Fremont Street District, Las Vegas does have a growing arts district that played a pivotal role in helping build a sense of community around Fremont Street. Amid the decades-old casinos, no-tell motels and abandoned buildings sits a block of hip bars, a coffee shop and an art gallery that one might expect to see in the arts district. The latter two actually share the same building, and the technology-focused usr/lib has its space on the second floor. At any given time, walking into the coffee shop, called The Beat, is like walking into a who’s who of the Las Vegas art and tech scene. The Ogden, where Hsieh, many Zappos employees and some of his funded companies call home, sits right across the alley and towers above the two-story building. The Emergency Arts building houses The Beat and usr/lib. The Ogden towers in the background. However, as Zappos’ Ware pointed out, Hsieh wanted to build an organic tech hub, which means that people — not places — come first. That explains the funding process, which is far from the formal venture capital experience. Typically, companies will come to town and visit, staying in one of the condominiums Hsieh owns inside the Ogden — he bought the top three floors and all other open units. They learn about what’s going on here, attend a Jelly and meet the rest of the startup community, maybe even presenting on their business. 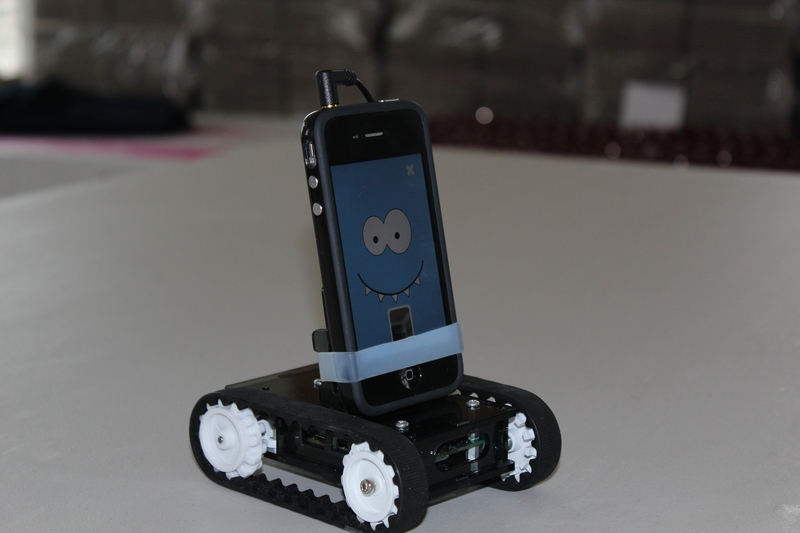 Romo, Romotive's $99 phone-powered robot. Hsieh, along with several other Zappos executives and a local gaming executive, also poured $500,000 into Rumgr, a mobile app for buying and selling used goods that was founded by three former Zappos employees. Other startups in Las Vegas include Walls360 (which counts Guy Kawasaki among its investors), Ayloo.net, Tracky and GarageGames. Counterless, a brand-new startup that grew out of the last Startup Weekend in November and includes members of the Ayloo team among its eight founders, has a particularly innovative iPhone (s aapl) app that lets bar, coffee shop and nightclub patrons order and pay for fare from their phones without waiting in line. Indeed, something is brewing in Las Vegas, and it’s just getting started. It has everything to do with Hsieh’s vision and, as we’ll see, a lot to do with the fact that — for better or for worse — Las Vegas is not Silicon Valley. Up next: Why startups are moving to Las Vegas, why they love it and how they plan to overcome the city’s technological shortcomings. All photos by Derrick Harris. I am very happy to connect with the folks at Rumgr and Zappos. I fit right in with the crew. This is a great article about the movement that is occurring in Las Vegas. I am excited about getting together with some of these techies from Jelly and working out the kinks of my start up. Great Article and great, original vision that Hsieh has. Vegas has some definite Geo advantages in terms of easy access (lots of cheap flights). There is also the sense of the big fish in small pond mentality that probably accounts for some level of ambivalence that people who live there may have towards the place. If you don’t like it here, please leave. There are plenty of us who love our city. Wow, you missed the point of the whole article. I don’t think it’s being “unpatriotic” toward Las Vegas to point out some of its shortcomings. I’m hopeful it can improve on some of them, though — especially around education, urban development and quality of life — and I’ll always look for opportunities to help that process along. For what it’s worth, I’m also a UNLV Law grad. I would never hate on the university, but there’s a lot that could change to make it a major partner in establishing a diverse and sustainable economy in the city.